Low inflation and something called hold-harmless provision are to blame. Look out, high earners: Nearly a third of all Medicare beneficiaries, including those with higher incomes, are likely to face a steep increase in their premiums next year. They have low inflation and something called the hold-harmless provision to blame. Social Security on Tuesday said its cost-of-living adjustment, or COLA, will bring a 0.3% increase for Social Security checks beginning in January, based on Tuesday’s consumer price index report. The hold-harmless provision of the Social Security Act says Medicare can pass along only up to the dollar increase in the cost-of-living adjustment to the estimated 70% of all beneficiaries who will qualify for hold-harmless treatment in 2017. Because a 0.3% increase in the cost-of-living adjustment would translate into a $4 raise in the average Social Security payment, this would effectively cap the average Medicare Part B increase at $4, said Dan Adcock, policy director at the nonprofit National Committee to Preserve Social Security & Medicare. Medicare Part B covers doctor visits and other types of outpatient care. This means that Medicare must spread much of the projected increase in its costs across the remaining 30% of beneficiaries who aren’t covered under hold harmless. 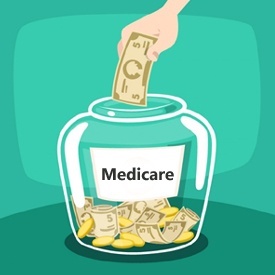 This group includes not only high earners, but also those who receive Medicare, but have deferred or aren’t eligible for Social Security benefits, and those who are new to Medicare in 2017. It also applies to lower-income Medicare beneficiaries whose premiums are paid by state Medicaid programs. In the latter case, the increase would be paid by Medicaid, said Tricia Neuman, director of the Henry J. Kaiser Family Foundation’s program on Medicare policy. The final premium increase won’t be announced immediately—the Centers for Medicare and Medicaid Services, or CMS, last year released it in November. However in June, the Medicare trustees projected that with a 0.2% COLA, the standard premium for the 30% who aren’t covered by hold harmless could rise by as much as 22% to $149 a month. With a 0.3% COLA, “presumably their premiums will rise to less than $149 a month, but it’s hard to know how much less,” said Paul Van de Water, senior fellow at the nonprofit Center on Budget and Policy Priorities. The highest earners within the 30% would pay more. The Medicare trustees projected—based on a 0.2% COLA—that individuals earning between $85,001 and $107,000 and couples earning between $170,001 and $214,000 would have their 2016 monthly premiums rise from $170.50 a person this year to about $204.40 in 2017. For those earning more than $214,000, or $428,000 for couples, the report projected an increase to about $467.20 a month, from $389.00 in 2016. Again with the 0.3% COLA, those increases are likely to be lower. Last year, when the Social Security COLA was zero, Congress staved off an initial 52% premium increase for Medicare beneficiaries not covered by the hold-harmless provision via a deal in the budget agreement that raised their premiums by 16% instead. Mr. Adcock said Medicare law gives Health and Human Services Secretary Sylvia Mathews Burwell “some discretion to use Part B trustee fund reserves” to reduce the premium increase for this group this year. “Whether she will have the flexibility to do that remains unclear to us,” he added. If Ms. Burwell doesn’t take action, Mr. Adcock says his group will lobby Congress to intervene. He says he expects affected groups—including state governments whose budgets could be burdened by the projected increase for lower-income Medicare beneficiaries whose premiums are paid by state Medicaid programs—to push for a fix. Medicare is jointed funded by the federal and state governments. 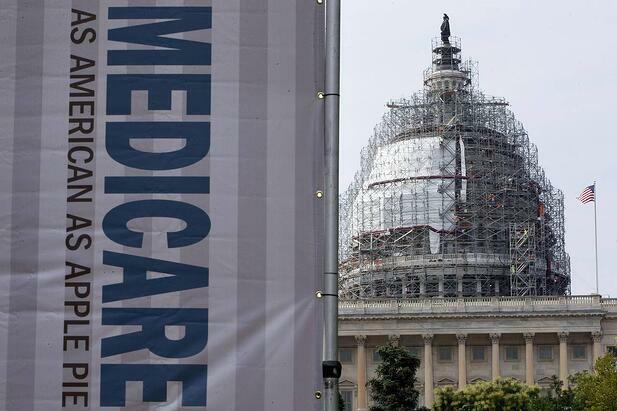 Medicare covered 55 million people last year, according to the trustees’ report. Part B covered nearly 51 million. In 2017 Medicare is expected to have 58 million total participants and 53.5 million in Part B. The Annual Enrollment Period is underway and now is a great time to make sure you making the best of the opportunity. 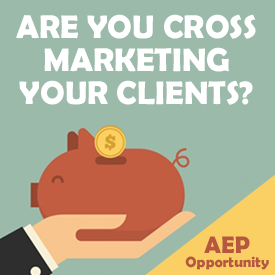 During the AEP many successful agents double and even triple their income by offering ancillary products. Don't miss the opportunity to help secure your clients with the best coverage while growing your revenue at the same time. Below are some of the ancillary products that we recommend you consider when speaking with your clients this AEP. If you need assistance with sales ideas and product positioning, give us a call and one of our experienced representatives will provide you with some great ideas. Provides your clients a plan that helps cover the gaps that Medicare Advantage leaves behind. These plans are designed to help alleviate out of pocket expenses associated with health plan gaps. This is a great add-on sale and can be presented with a Medicare Advantage plan if the scope of appointment is completed properly. We understanding that your clients teeth, eyesight and hearing are a big part of their quality of life. Problems can be painful, inconvenient and expensive. DVH is an affordable way to help pay for these expenses. Issue ages are 18-89 so it’s a great “add-on” policy to an existing medical or Med Supp policy. We wish you continued success this AEP. Our staff is available if we can be of assistance. 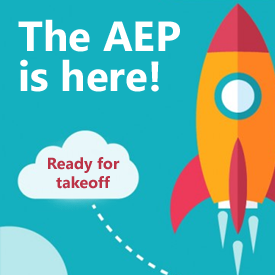 The 2017 AEP is here! The Annual Enrollment Period starts this Saturday, October 15th. 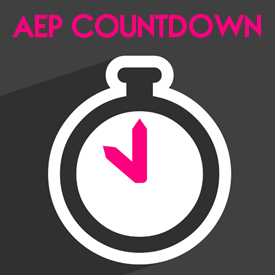 We hope everybody has a successful AEP and we look forward to offering our continued support to make it a success. If you are in need of certification assistance or supply requests, please contact us today so we can help expedite any last minutes items. Medicare Advantage membership continues to grow and now one-third of all Medicare beneficiaries have coverage through some type of Medicare Advantage plan. Now is a great time to be in the market and provide your professional assistance in helping clients find the best plan that fits their needs. With all the moving parts and so many different options available, the agents role in the market is more important than ever before. Below are some recent figures published by CMS on the growth of Medicare Advantage as well as the importance of focusing on quality (Star Ratings). 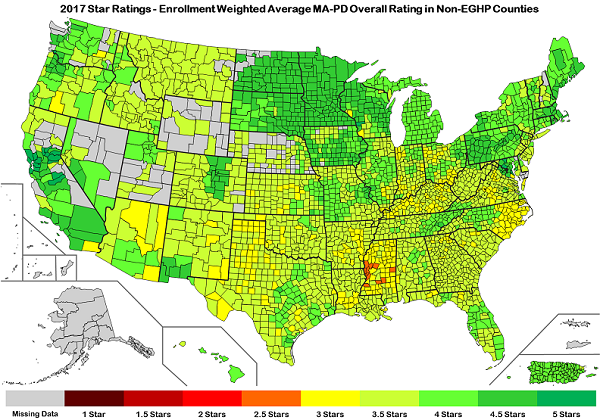 There are 208 MA-PD coverage plans for 2017 that scored four stars or higher; they have a combined enrollment of about 68% of all beneficiaries, up from 179 plans in 2016. More Medicare Advantage programs received top-quality ratings from the CMS for 2017 plans than in previous years, though the average star rating declined slightly. Enrollment in Medicare Advantage is expected to hit an all-time high of about 18 million, about one-third of all Medicare enrollees. With the Annual Enrollment Period just a week away, it is important to make the best use of the limited window you have. It’s a stressful, pressure-packed time of year for agents in the senior market who can’t afford mistakes that force them to take finite time away from selling to deal with issues, or not having a solid strategy in place to ensure their time is being spent efficiently.